Looking for relief from that pounding headache? Have you ever stopped in your tracks because of a throbbing headache? Perhaps your head feels like an expanding balloon and everything outside is just too loud and bright? You may be feeling the symptoms of a migraine, tension headache, or cervicogenic headache. Other symptoms may include reduced movement when turning your neck, nausea, blurred vision, dizziness, and shoulder pain. You may be thinking…What’s going on in my head? Although symptoms are commonly felt at the back of the head and/or the temples, it not likely the source of the pain. In fact, tight muscles and fascia or stiff joints in the neck and back can refer pain to the head. In a study looking at the effects of manual therapy and specific neck exercises on cervicogenic headaches, the authors found a significant reduction in intensity and frequency of headaches following 6 weeks of therapy (Gull). These results lasted more than 12 months following therapy! Depending on the cause of your headache, you can significantly reduce or eradicate your symptoms with muscle release therapy, specific exercises and education provided by a physiotherapist. In a study looking at the effects of manual therapy and specific neck exercises on cervicogenic headaches, the authors found a significant reduction in intensity and frequency of headaches following 6 weeks of therapy (Gull). These results lasted more than 12 months following therapy! Click here to start your treatment for Cervicogenic headaches! Migraines feel the most severe of the three headache types. In some cases, they may be precipitated by an ‘aura’; a period of having blind spots, numbness, vertigo and one-sided weakness. Its high pain intensity can lead to greater disturbances in your day and will require a combination of pharmacological treatment and physiotherapy. Get relief from Migraines today! Reflect on the frequency of your headaches, note any symptoms in your arms, and pin a possible trigger (ie. turning to look one direction, vigorous exercise, eating certain foods, stress) as this is all helpful information to pass on to the Physiotherapist. If you would like to know more about addressing your headache, visit with one of our AMS Physiotherapists. The Physios at AMS are experts in identifying postural, neck, and back issues that may be contributing to your headache, and will provide you with a stretching and strengthening program for at home or at work. You can also read more on the importance of exercise for neck pain here. Get expert Physiotherapy help today! 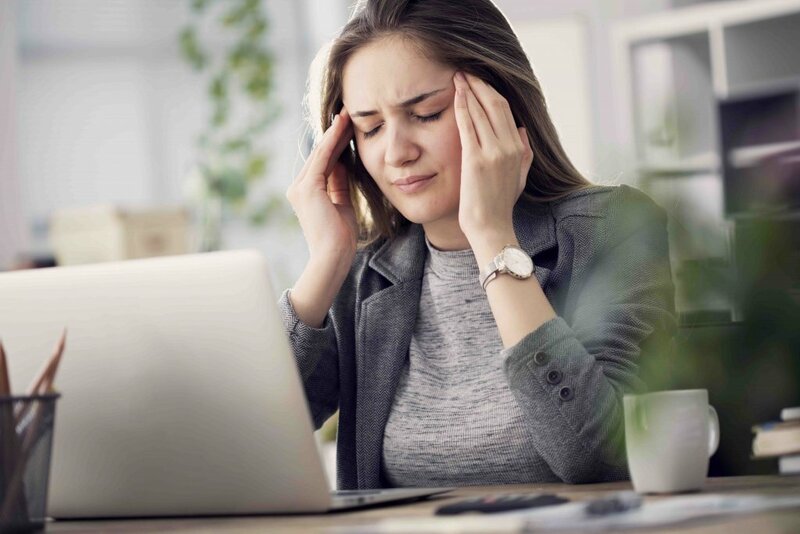 The Physios at AMS are experts in identifying postural, neck, and back issues that may be contributing to your headache, and will provide you with a stretching and strengthening program for at home or at work.